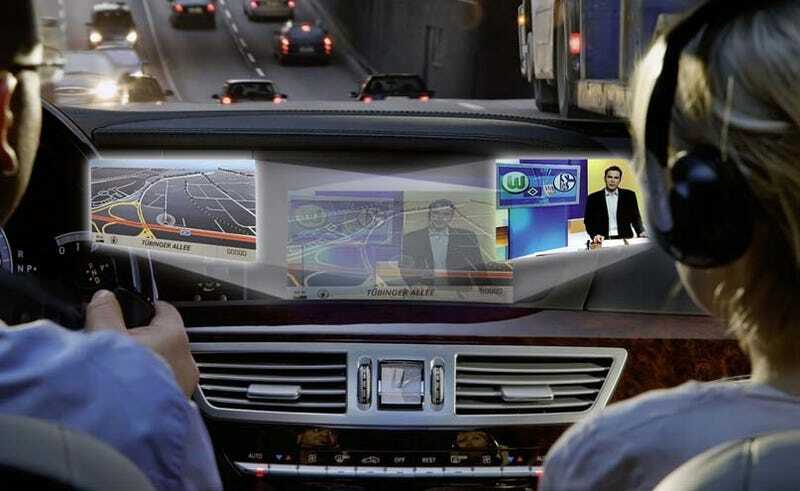 Mercedes has announced plans to implement what they call a Splitview Command display in new S-Class models—a means for the passenger and driver to see different images on the same surface. The system uses side-by-side pixel placement coupled with a "filtering mask." We're guessing this filtering mask is essentially the technology found for ages in lenticular printing, that fancy technology that allowed an animated Frank Thomas to knock one out of the park on your fancy baseball card.